The plane disappeared en route from Kuala Lumpur to Beijing on March 8 2014 with 239 people on board. Despite two official investigations, the plane has never been found, leaving families with many questions unanswered. Andre D Milne, founder of military technology company Unicorn Aerospace, has called on Chang Guang Satellite Technology to investigate his coordinates. The coordinates of where he believes MH370 to be are N 12.0159, E 104.1520. These point to a spot in the Cambodian jungle, northwest of Phnom Penh. It is in the Kampong Speu province near Phnom Aural, the tallest peak in Cambodia. Mr Milne said: “May I please thank the international leadership of Chang Guang Satellite Technology in the ongoing search for MH370. “My I please also request that Chang Guang Satellite Technology conduct another examination of a site of interest at coordinates N 12.0159, E 104.1520. “Please note my request is based on the existence of unidentifiable fragmented structures that match the size and shape of a large crashed aircraft at the attached site coordinates. 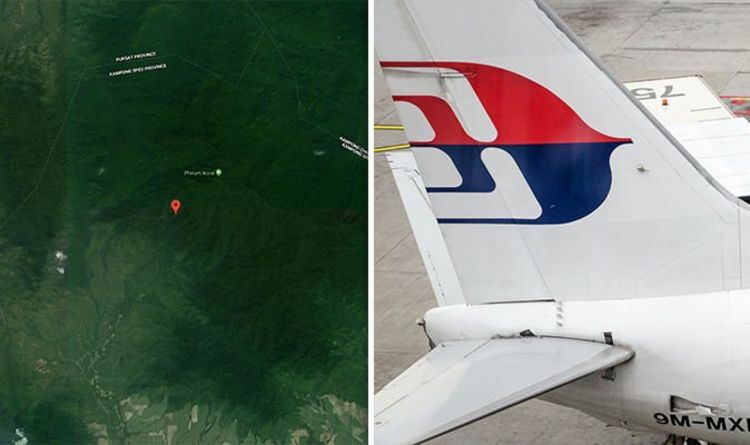 “The coordinates are within a geographical location that on three separate occasions Malaysia Air Operations claimed to be tracking MH370 after MH370 disappeared. He added that the site mentioned is one of two he is looking into as part of his private investigation of MH370. Chang Guang Satellite Technology have previously investigated claims by other investigators. The Chinese company tasked 10 commercial satellites to a site proposed by British video producer Ian Wilson. Mr Wilson’s suggested location was also in the Cambodian jungle, but the satellites found so sign of a wreckage. Chang Guang office director Wei Shu said the photos and video taken showed 76 percent cloud cover, which made it very difficult for optical imaging satellites to observe what was on the ground. Mr Wei said it cost the company about 5 million yuan (£573,000) a day to task satellites away from their original missions.